#Office365Challenge Anyone who writes books, blogs, articles, whitepapers & create presentations will find this useful. So yes – pretty much most of us. 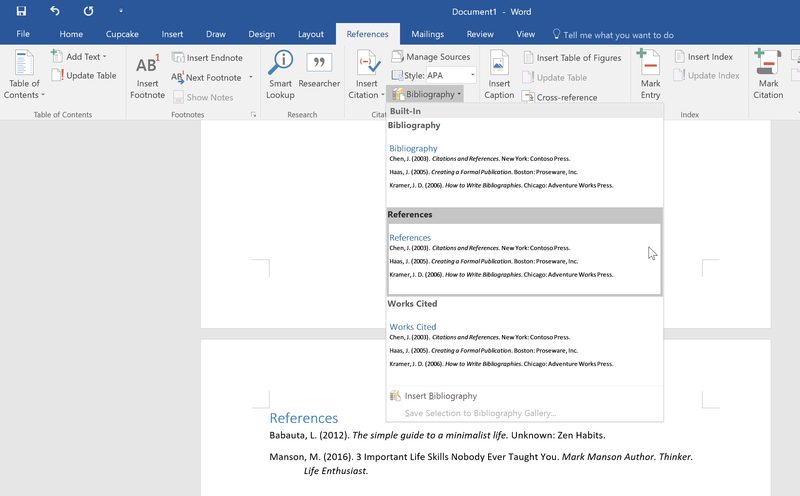 The ability to create meaningful citations for bibliographies or references are extremely powerful in Word. It seems like this was added to Word in the 2007 version (might be wrong), which means it took me close to 10 years to not only find it, but also start using it. Pathetic I know. But it also highlights why I have been so passionate about this specific blog challenge. Yes I know, a blog a day is crazy, and it has not been easy. Most of the blogs I wrote was not about the latest updates to Office, but rather about the hidden gems we’ve missed for so many years. And this is one of them. The reason why I said “meaningful” citations in my description above, is that that content you add here is reusable. Now ‘reusable’ is definitely one of my favourite words as it also implies less work. To add Citations you need to add the Source. This is only done once and can be reused many times, not only in the current document – but also in other new Word documents. As mentioned above, you can also reference your created resources in other documents. 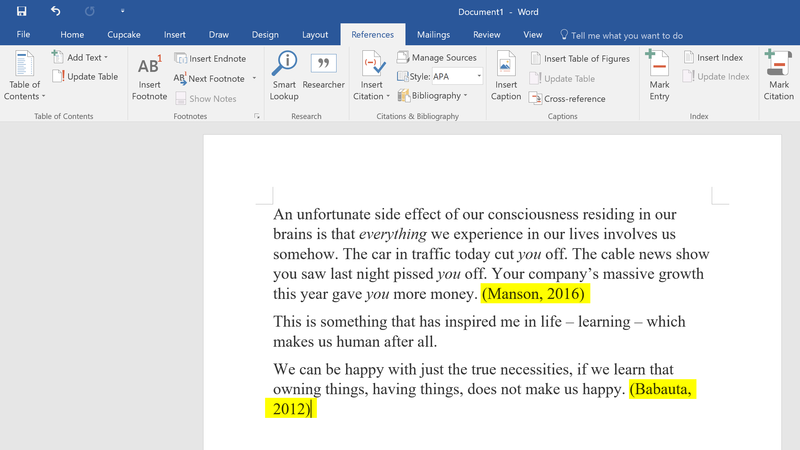 Thanks Microsoft, I’m sorry I hated Word for so many years. It’s only because I didn’t know :-(.